With Super Bowl Sunday approaching, free agency talks are beginning to ramp up for the 30 NFL teams who won’t be participating, including the Chicago Bears. The Bears have a little less than $20 million in cap space for the 2019 season, the 23rd most out of all 32 NFL teams. Expect Ryan Pace and Chicago’s front office to focus on keeping key players from last season in blue and orange, rather than spend a significant chunk of the Bears’ cash on a big-name free agent. Chicago has 20 players set to become either unrestricted, restricted, or exclusive restricted free agents. Let’s take a look at the top player the Bears should prioritize re-signing, the first guy that should be cut loose, and someone who will arise a tough decision. 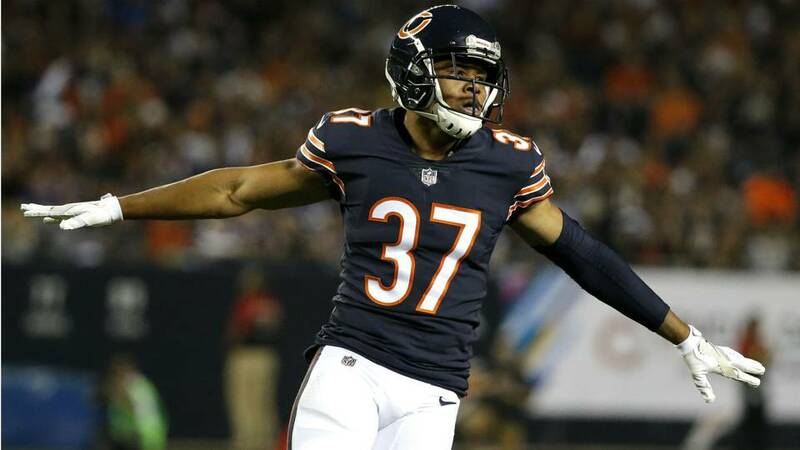 Some would argue Ryan Pace should take a pass on Callahan considering the cornerback has yet to play a full season in four tries because of injury problems. I’d have to disagree. Callahan was on his way to his best professional season by a long shot before hurting his foot against the Packers in week 15. Sherrick McManis did a fine job at replacing Callahan, and would probably be a starter on a hand full of teams. Although, part of what made the Bears’ defense so great in 2018 was the depth it possessed. Retaining as much depth as possible and keeping McManis in a backup role increases Chicago’s odds of dominating defensively similar to how it did in 2018. Especially since other injuries in the defensive backfield, maybe even to Callahan, are bound to arise again. Given Callahan’s constant struggle to say healthy, the Bears can most likely sign the cornerback at a low price. Essentially meaning it is worth the risk for Chicago to take a chance with Callahan. The Bears front office would be content with a season similar to 2018 from Callahan, in which the cornerback recorded 45 tackles and two interceptions in 13 games, for a discounted price. The fact Kevin White’s 2018 season, in which the former first-round draft pick recorded four total receptions for 92 yards, was a significant improvement from 2017 says enough. White’s underwhelming NFL journey has been disappointing, to say the least. The 6’3, big-bodied wideout flashed his potential a few times last season. Specifically when he hauled in a desperation heave on the final play against the Patriots in week seven, and an impressive grab against the Vikings week 17. White’s inability to get accustomed to and find consistency in professional football has led to little involvement though. The wide receiver should never have been a first-round pick, to begin with. White was dominant in college. But it should have been a red flag that the West Virginia graduate failed to run any complex routes with the Mountaineers. As a result, White has never been able to grasp the Bears’ playbook fully. The devastating injury he suffered early on didn’t help his transition either. Best of luck to Kevin White. There is no chance Pace rolls the dice on him though. There are obvious reasons for both re-signing Bellamy and letting him walk. In his fourth NFL season, the Louisville graduate blossomed into a valuable asset by finding his niche on special teams. If Bellamy gets a deal from the Bears, his brilliant work in that phase of the game would be the leading influence. However, at the same time, it has become evident Bellamy will never in his career be a top two, or even top three receiver, for any team. Bellamy’s workload at wide receiver decreased vastly because of offseason additions Chicago made at the position. One cannot blame him for that. And Bellamy actually made some clutch receptions here and there. Although, as they have been his whole career, dropping the ball was still an area of concern for the receiver. Even if Bellamy worked hard in the offseason and developed glue-like hands, his skill set still wouldn’t be all that impressive. Bottom line, Josh Bellamy’s production as a receiver isn’t something the Bears need. Though he is excellent on special teams, it wouldn’t be challenging for Ryan Pace to bring in a capable player as a replacement. Giving Bellamy a deal will come down to whether or not Pace believes the receiver’s contributions and locker room presence are irreplaceable. Side note, Bellamy is a team-first guy who gets along well with other player, which is what will make the decision even more difficult.